Check out this amazing story of Survival. 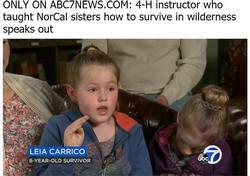 2 young girls used the skills they've learned within the 4-H program to survive in the wilderness for 44 hours by themselves. 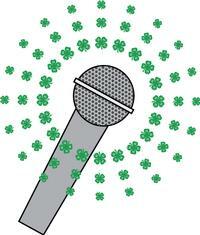 Time: Registration at 7:30 a.m. - Showmanship at 8:30 a.m. Adult Volunteers –Must be 18 years or older. A volunteer cannot simultaneously be a 4-H member. Chaperones must be at least 21 years of age or older. 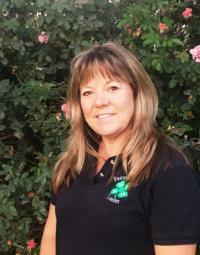 Potential new volunteers must submit a 4-H Adult Volunteer Interest Survey. 4-H YDP Volunteers are appointed by the County Director. The decision to appoint or not appoint a volunteer (whether initially or upon renewal) rests with the County Director, in consultation with appropriate 4-H staff. All appointments are made for the best interest of the 4-H Youth Development Program and 4-H members. 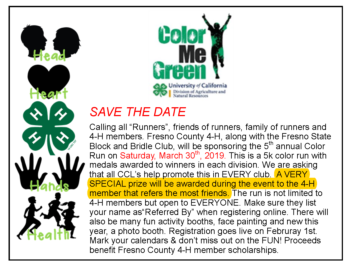 Fresno County has 17 clubs to choose from! Join one today! The 4-H Youth Development Program is an informal educational opportunity where youth learn by doing in project areas like science, health, agriculture, & citizenship. The 4-H community club program offers a wide variety of activities for youth, ages 5 - 19. Join a club, take part in monthly meetings, explore & empower young people with skills to lead for a lifetime. The skilled adult volunteer leaders are the heart of our program. Projects are taught by adults while Teen & Jr. leaders assist alongside them. Youth members may also participate in a number of County, Area/Multi-County, and Statewide events.